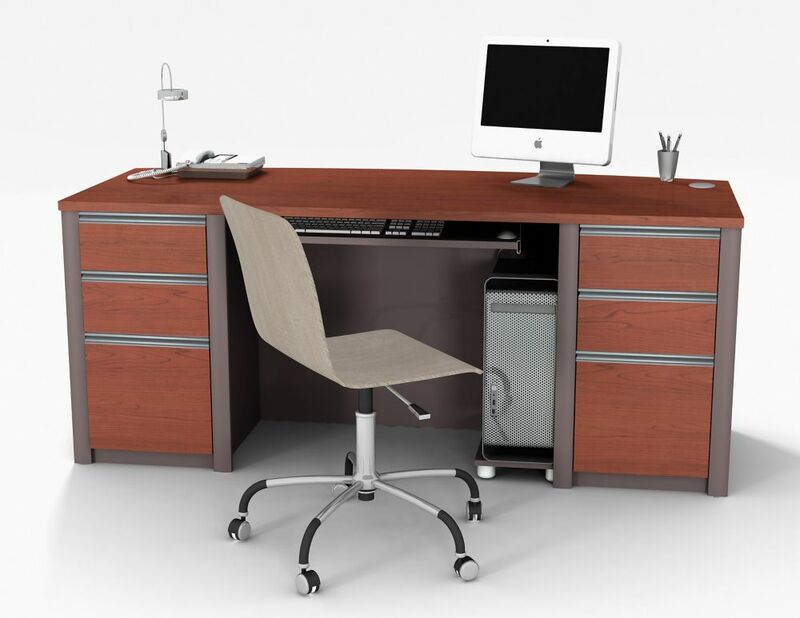 Designed in modern style and durability, this Bestar computer desk is a perfect addition to any contemporary office. Colored in a beautiful red shade, this piece brings a touch of flair to any room. Constructed from sturdy manufactured wood, this piece keeps your work space well supported. Keep your workspace tidy and compact with this desk. Connation 71.1-inch x 30.4-inch x 29.8-inch Standard Computer Desk in Red Designed in modern style and durability, this Bestar computer desk is a perfect addition to any contemporary office. Colored in a beautiful red shade, this piece brings a touch of flair to any room. Constructed from sturdy manufactured wood, this piece keeps your work space well supported. Keep your workspace tidy and compact with this desk.